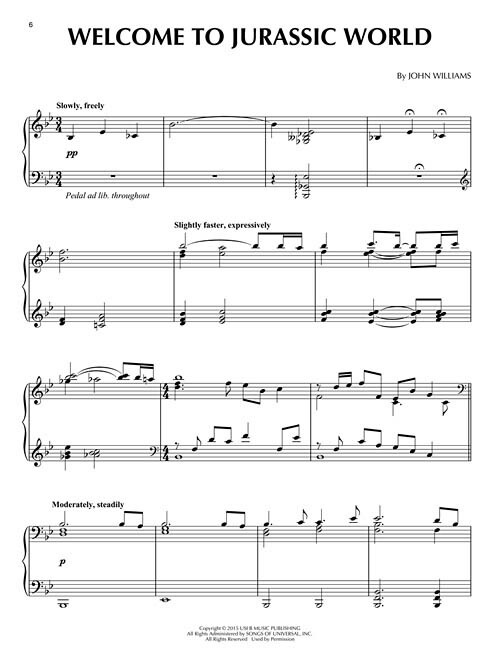 This Jurassic World piano music book gathers thirteen songs from the soundtrack penned by Michael Giacchino to this 2015 summer blockbuster hit. Also features contributions from John Williams. Is this the right book for you? Take a look at a sample of "Welcome to Jurassic World" from this book.